Barchill farm offers relaxing breaks where you can stay in its beautifully restored farmhouse and stables. Our hearty breakfasts are organic and locally sourced; our eggs are from our own hens and we bake our own bread daily. We also provide evening meals. Vegetarian and Vegan guests can enjoy a varied menu. Barchill retreat provides warm, comfortable rustic spaces for creative practitioners and artists to work uninterrupted on their latest projects. For creative workshops we have our Old Barn Library, adjoining conservatory and large orangery. Lunches and evening meals are served in our low-beamed dining room -complete with grand piano should you wish to have an evening meal - or sing for your supper! Local practitioners, published writers and artists lead intensive residential or day-time workshops that include tuition. 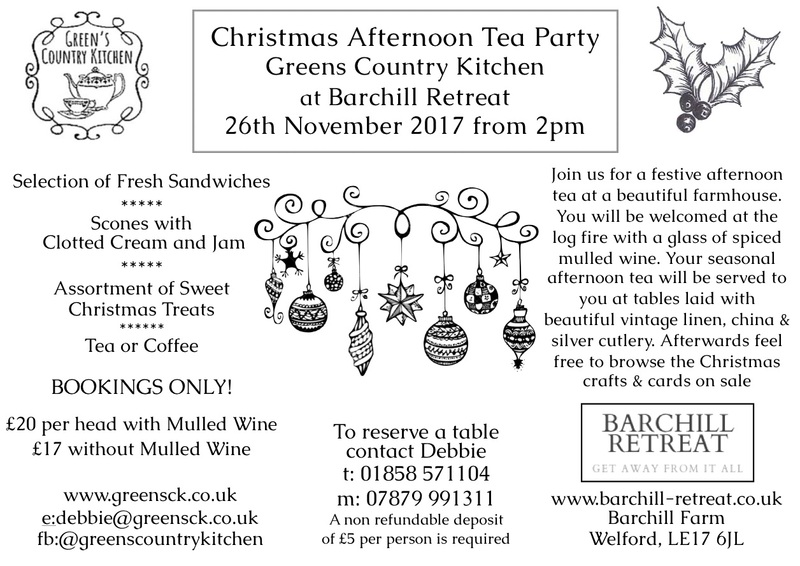 The day workshops include a three-course lunch with organic produce from our own large walled vegetable garden and our free-range chickens. For residents we offer a full organic english breakfast, lunch and evening meals. The Barchill Retreat is a farm set in 40 acres of beautiful Leicestershire countryside. We offer both Bed and Breakfast and regular creative and well-being experiences. These are both single days and residential weekends run by visiting experts and practitioners.